VPNs (Virtual Private Networks) have become necessary to protect one’s privacy online and provide a secure browsing experience. With the increasing online connectivity dangers of online fraud, hackers, spywares have increased. By using a VPN service, we can restrict our online tracking largely and surf anonymously. With the use of VPN we can also access location restricted website and apps. It also provides secure platform for downloading and uploading torrents. We are going to list the top three VPN apps for android that are free and provide unlimited service without any hassle. The same company, Signal Lab, has developed both these apps. These apps are totally fee and do not require any registration or subscription. There is no usage and speed limit. Nevertheless, these apps do contain a few ads. In our tests, we found that these VPN apps performed better in many field than other VPN apps. Both these apps are very simple to use and connect very quickly. 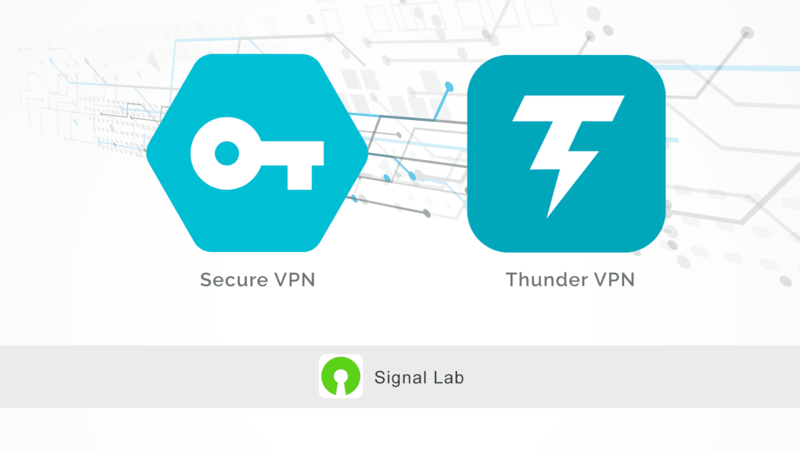 However, we found that Secure VPN took a little lesser time to connect than Thunder VPN. Surfing speed may reduce a bit for some specific websites while using the VPN. But, we did not find any speed reduction in torrent downloads. 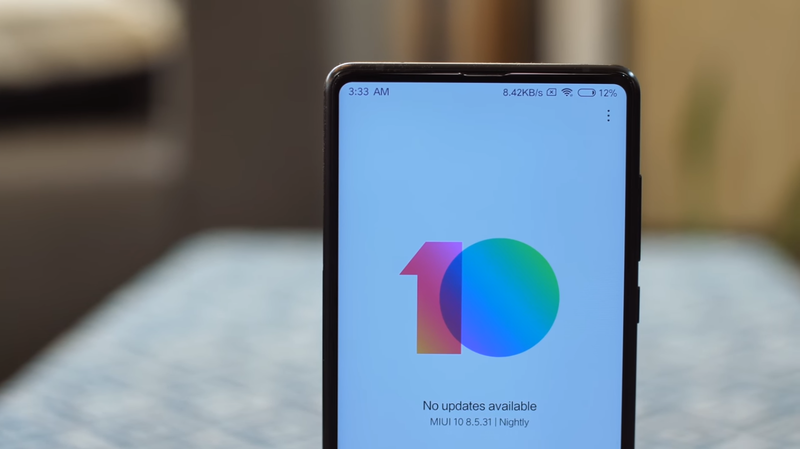 They also support app specific VPN services to enable VPN for selected number of apps. Unlike Orbot VPN, these VPN apps will trouble you less with captchas while surfing Google and other sites. 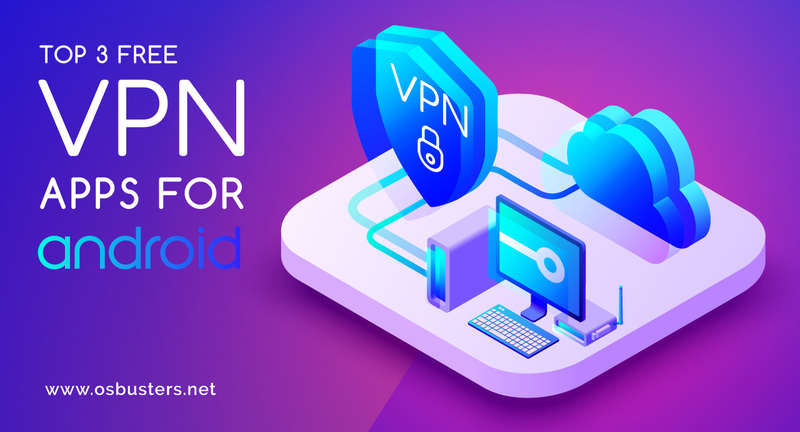 Hence, Secure VPN and Thunder VPN turned out to be the best ones for casual surfing and unblocking restricted sites, however, for extremely secure surfing, one can use Orbot (we will talk about it later). Hola VPN is another “unlimited free VPN” which is also available for PC via Chrome extension. It does not require user registration for use. It is totally ad free as well. So, how does it sustain by providing everything free without ad implementation? Well, Hola works on a peer-to peer VPN service, which shares the idle resources of its users to sustain its network. Therefore, yes it takes something from you in return for its service. However, if you do not want to contribute to its peer-to-peer network, then you can opt-out from it by buying a commercial license. Hola VPN is easy to use and can be used separately for specific app of your choice. It has also an inbuilt browser for private surfing. In our tests, we found that sometimes it worked very fast and sometimes not. Also in a few cases, it was unable to unblock some websites and asked for premium license to do that. In Hola VPN also we did not come across annoying captchas while surfing. Orbot is developed by the famous Tor Project, the organization behind Tor Browser. The Tor Project empowers people to protect their privacy over the internet so that hackers and other institutions cannot misuse their information. 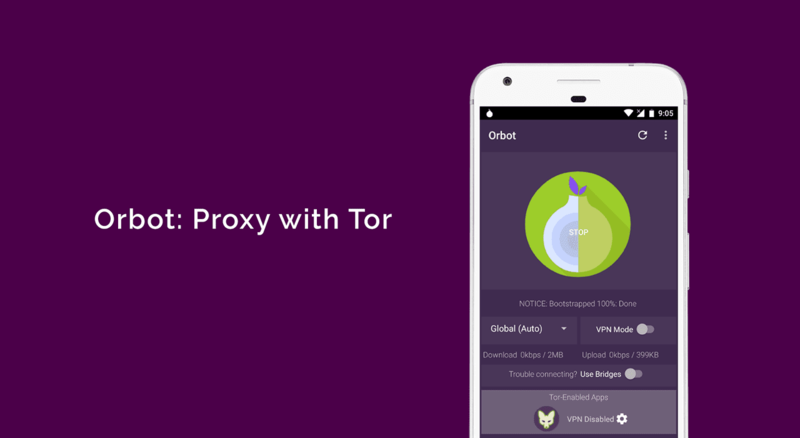 Orbot: Proxy with Tor is a free and open source application for Android. It is totally ad free and does not require any subscription or registration. It uses Tor (the same technology used in Tor Browser) along with its VPN service to encrypt user traffic and provides truly anonymous access to any website whether it’s blocked, monitored or on the hidden web. Unlike other VPN and proxies, it does not connect users directly to the network, but moves their encrypted traffic through different computers around the world to provide stronger privacy and identity protection. Due to this process, it does take a while to connect, but provides a truly private connection. If Orbot is used with Orfox Browser, one can also access deep and hidden web. Well Hola VPN also uses peer-to-peer network like Tor but is not as efficient. Like Hola VPN, Orbot also provides app specific VPN services. Orbot VPN also provides the facility to use Bridges if the VPN mode fails on users’ mobile network. While using Orbot, user may get annoying captcha verification in various websites. Even Google will throw captcha verification now and then, which will make it impossible to use. So, you have to move to other privacy centric search engines like DuckDuckGo. All the three VPN apps are good. While some provide better surfing experience, others provide stronger privacy. The choice of VPN apps depends on the requirement of the users. If you want a full protection of your privacy and identity, then Orbot is your way. If you do not care much about your anonymity on the internet and just want to unblock some sites, then you can go for Thunder VPN/Secure VPN or Hola VPN. Which VPN apps do you prefer? Did we miss some better VPN apps? Do let us know through your comments!